Happy Tuesday loves! It's no secret that fall is all about the plaid. 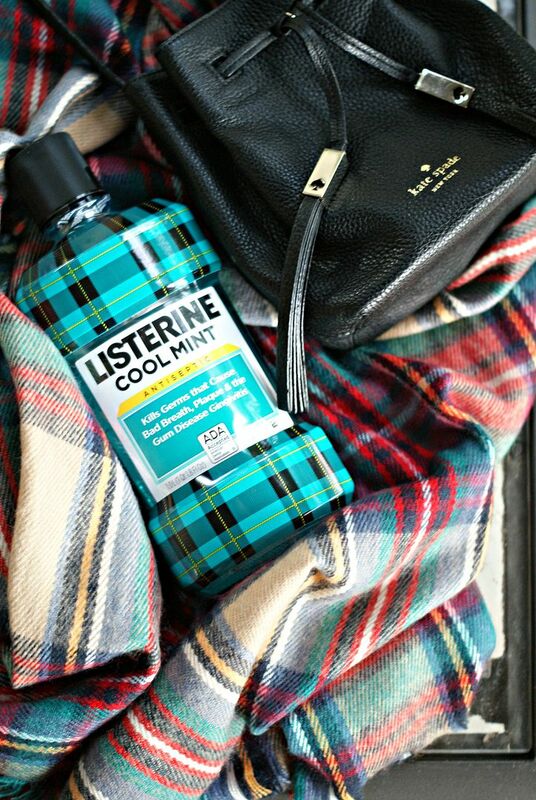 Plaid is everywhere from shirts, to dresses, scarves...even your mouthwash bottle can get in on this trend thanks to LISTERINE®! 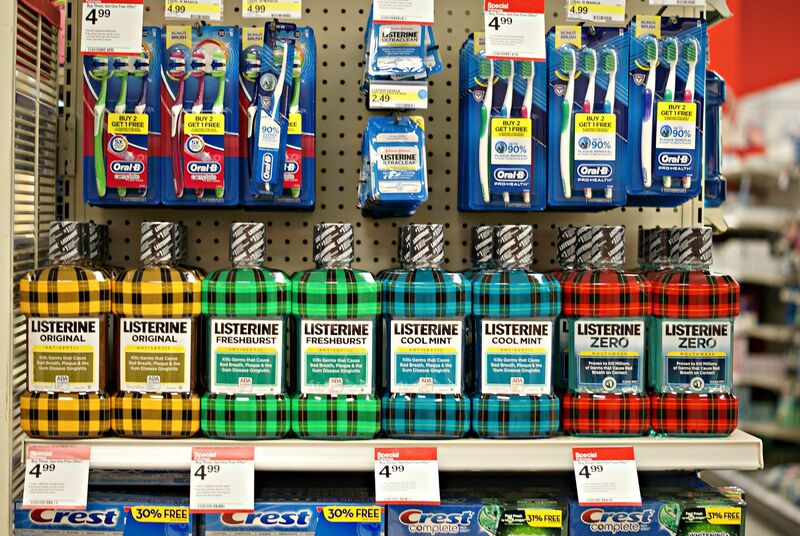 LISTERINE® has always been a trendsetter so it's no surprise they partnered with one of my favorite stores, Target, for their Mad For Plaid collection. For a limited time you can get these fun plaid bottles at your local Target and continue the plaid trend! I don't know about you but I love when items come in cute packaging, it makes it easy to want to display them on my bathroom counter! As a long time user of LISTERINE® you know when I saw these bottles I of course had to pick one (or two...) up. Mouthwash is a definite staple in my bathroom, I am not a fan of going to the dentist so anything I can do to try to make that experience a little easier on myself, I take. It's scary to think that brushing alone misses 75% of your mouth so rinsing twice a day with a therapeutic mouthwash like LISTERINE® you can clean virtually 100 percent of your mouth and achieve up to five times healthier gums in two weeks and up to nine times healthier gums in four weeks! I love how fresh and clean my mouth feels after rinsing with LISTERINE®. You can get these plaid wrapped bottles at your local Target and as an added bonus they're currently listed on Target's Cartwheel app for 10% off each bottle from 9/13 - 10/31! 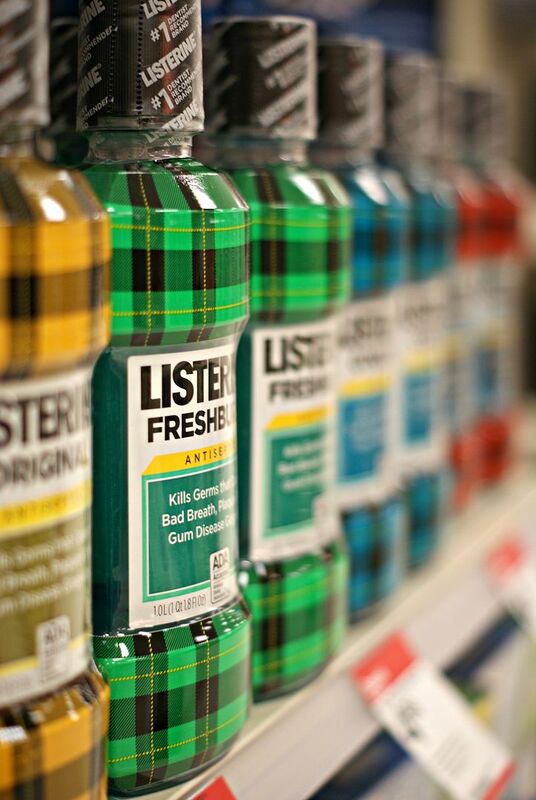 Have you checked out the LISTERINE® plaid bottles yet? These are too cute, i think i need! Those would look so cute in a guest bathroom with that print. The cartwheel app is the best! I love that you can scan items with it! Um, those plaid bottles are too cute + festive for the holidays! Those plaid bottles are so cute!! How fun!! You can never go wrong with plaid! I have to get to Target this week and get more mouthwash, so this is perfect timing! Fun bottles! You know, I've usually only thought of mouthwash a something to freshen breath and not necessarily needed for oral health. 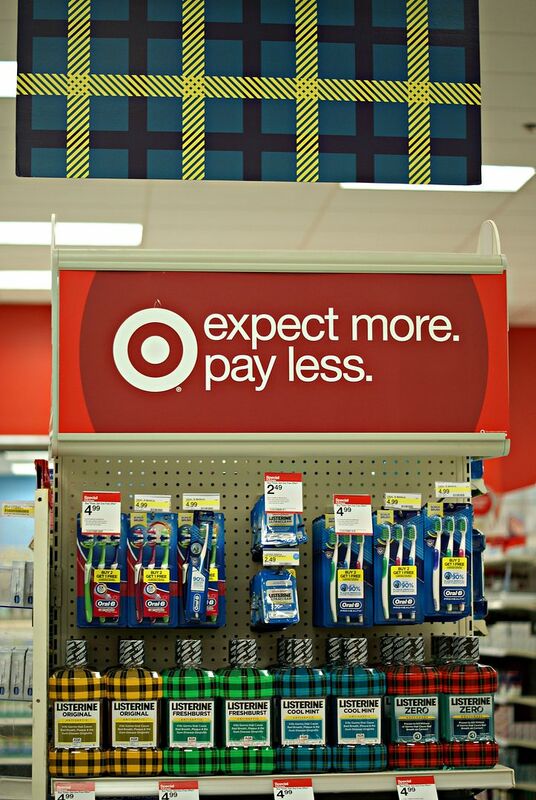 I think i'll pick some up when I am at Target today :) I hate the dentist too. Do you use a Sonicare? Ever since I started using mine the dental hygienists have not said anything to me about missing spots etc! It's amazing! Omg how fun is that plaid packaging?! So cute! These are so cute! I'm always a sucker for packaging! Anything seasonally festive is enough for me!!!!!! Cute! Oh how cute are these!!! What fun packaging. I would buy this just for the packaging :) I wish they did up the orange one too. I use that over the others. how adorable is the plaid packaging?! i want one lol. How cute are those bottles! Unfortunately Listerine has always been too strong for my liking. I'm a wuss when it comes to mouthwash i guess. haha! 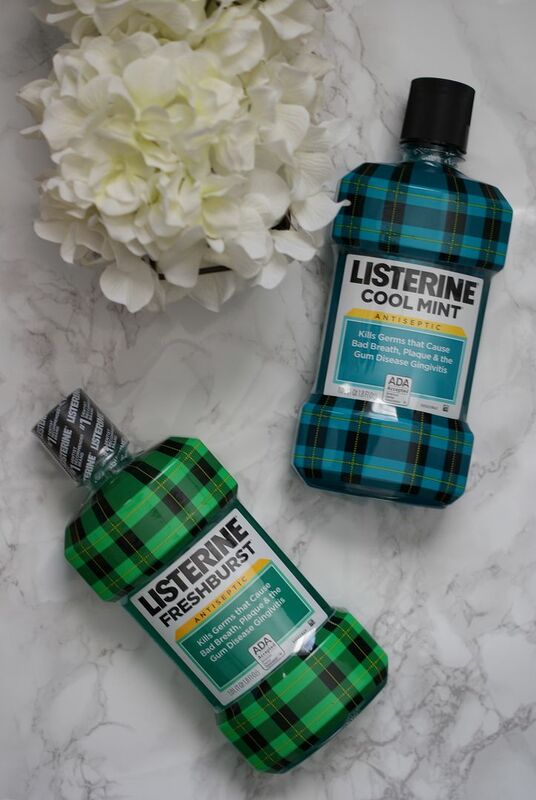 I'm a listerine fiend, the plaid bottles are too cute for fall, better add some to my carthweel! 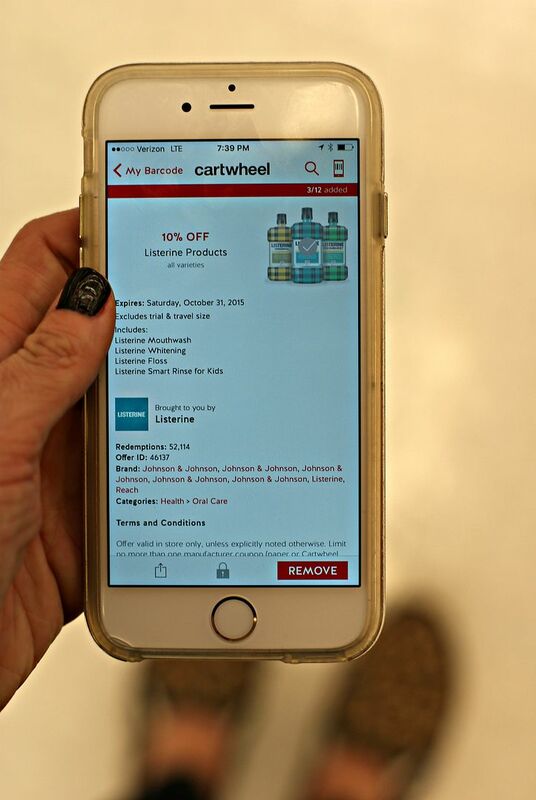 I always forget to use the Cartwheel app! Perfect reminder— especially since we’re just about to run out of Listerine and I can now get one of these cute bottles! Listerine Fresh Burst is a daily essential for me, so I'm all for the adorable bottle upgrade! Love the seasonal plaid! What cute packaging! Love your scarf too! I saw these the other day and decided I had to have one just for the packaging! I normally use Act because it's got flourid in it and I'm prone to cavities (I know TMI) but I hate the dentist too, I do as much as I possibly can to stay away! lol! Love these bottles! So cute!